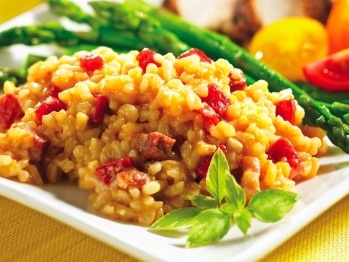 – Continue cooking the risotto by adding the stock, one ladleful at a time and stirring well. Once the stock is absorbed, add the next ladleful and stir. – Check the rice to see if it is done. 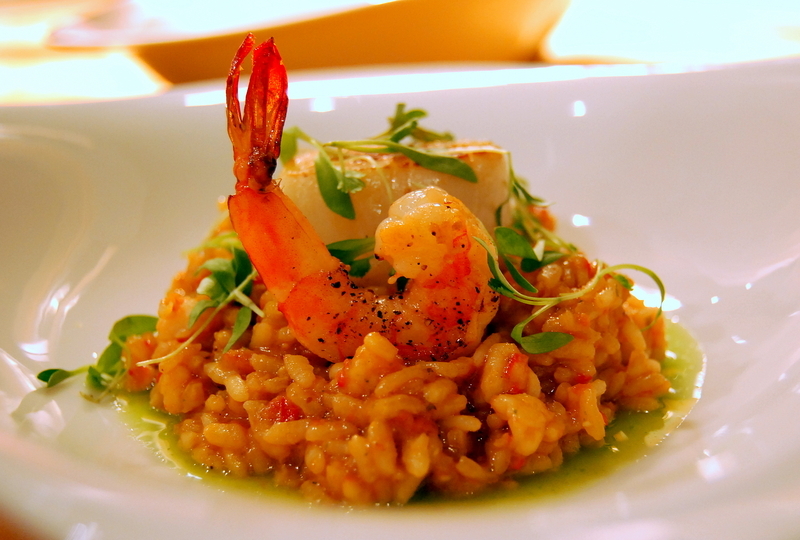 The rice in a risotto should not be cooked to mush, it should retain some bite, or as the Italians say, it should be al dente. – When the rice is done, add one last ladleful of stock ad stir till it is almost absorbed. The risotto should be a little soupy. 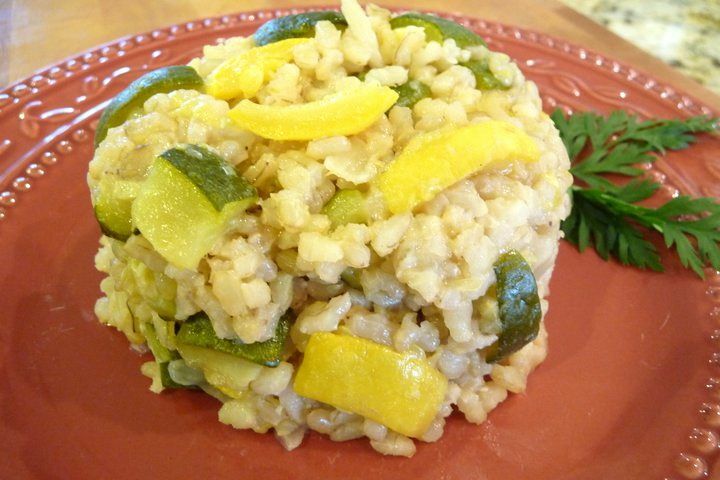 – Season the risotto to taste with salt and freshly ground pepper. Transfer to a serving plate. Grate some Parmesan cheese over the risotto, garnish with a sprig of fresh coriander and dot with some butter. Serve hot.